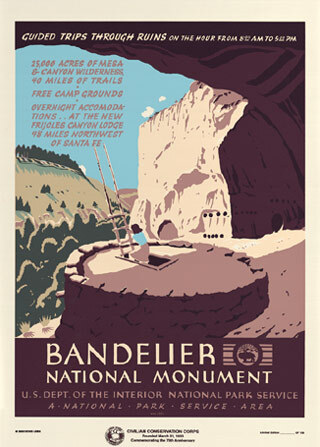 13 5/8” X 18 1/2” serigraph poster--historic design & colors. 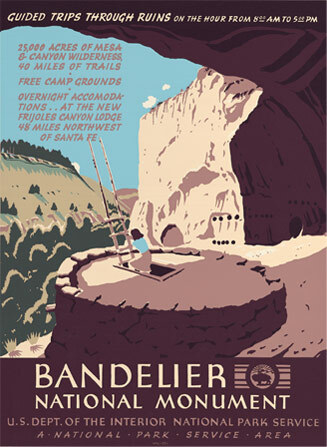 Bandelier was the last of 14 posters printed by the park service WPA artists in Berkeley California and was never archived. Thirteen copies survived--cut up as file drawer dividers! Only one hundred posters were produced in 1941. Visit this unique site here.